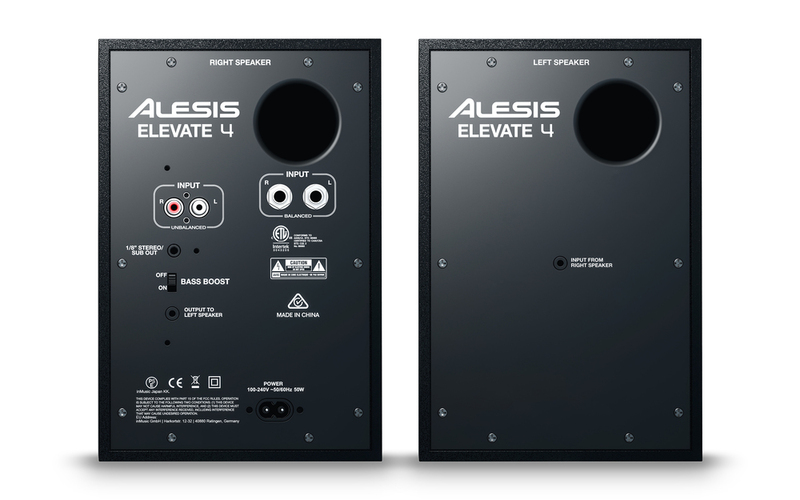 The Alesis Elevate 4 Monitor Speakers feature a 4" bass driver along with a 1" silk dome tweeter that give out a superb sound. 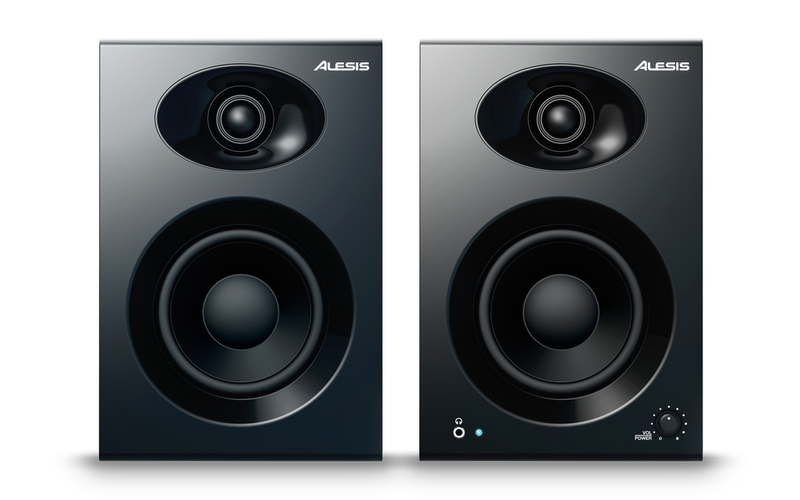 These compact speakers are great for those where space is at a premium or is limited such as a home studio. The Elevate 4 is a 4-inch 2-way speaker, packaged and sold as a pair. 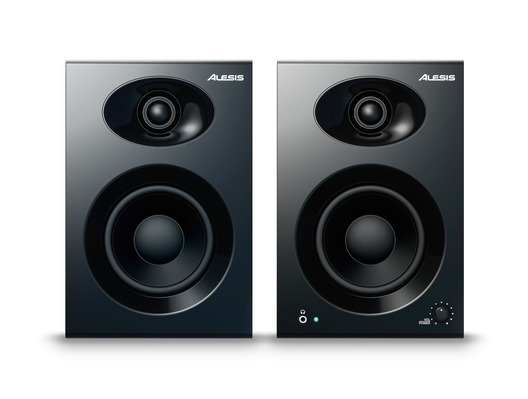 One speaker contains the 2-channel amplifier that powers both units. The amplifier itself is a powerful Class AB design, capable of 40 watts RMS total system output, more than enough to power the system to loud levels with inaudible distortion.